Today is the first ever International Day of Education, celebrating the role education plays in peace and development. There are so many things affecting the health and well-being of women and children around the world. A lack of resources, education included, locks children into a cycle of poverty. At CMMB, we know the importance of education when it comes to empowerment and sustainability. Our female empowerment programs in Haiti and Peru educate women to be both financially responsible and practice healthy habits in their own lives, and in the lives of their children. One of the reasons these programs have become so critical is because as children, so many young girls do not have the opportunity to receive a formal education. 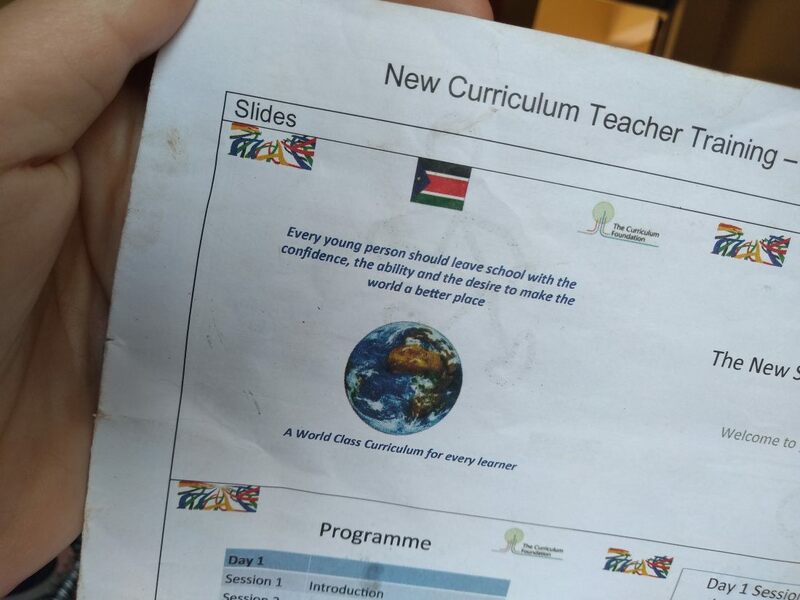 To celebrate this important day, we asked one of our dedicated and committed international volunteers, Angela Barratt, to share what she has learned about education and peace in South Sudan. 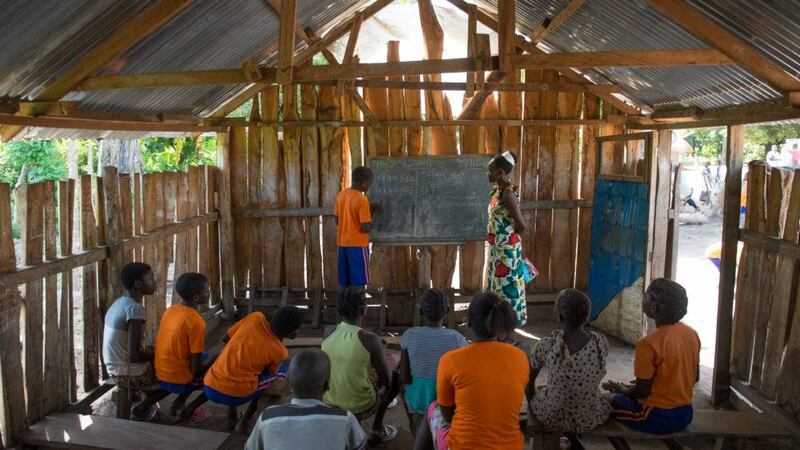 Angela, is currently serving as a supporting teacher at St. Mary’s Catholic School in Yambio, South Sudan. Her stories and reflections have offered insight into the relationship between education and healthy lives. The following piece is no exception. In it, Angela shares an interview with a remarkable woman, who she has had the opportunity to teach beside at St. Mary’s. In December, the UN General Assembly proclaimed January 24, 2019 the first International Day of Education. According to the Global Peace Index, only Syria and Afghanistan have less peace than South Sudan (2018) (I recommend checking out the Index; the map may surprise you). 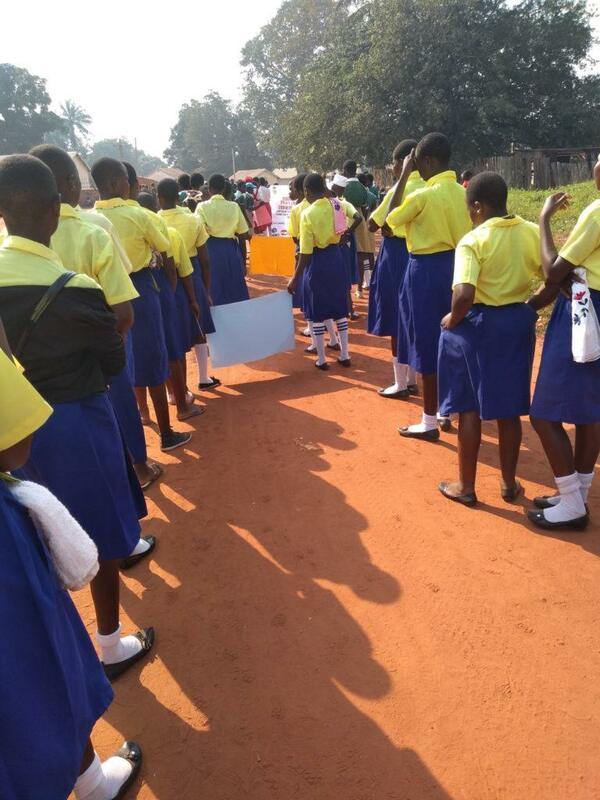 Education and peace in Yambio seem to me a bit of a chicken-and-egg problem right now. 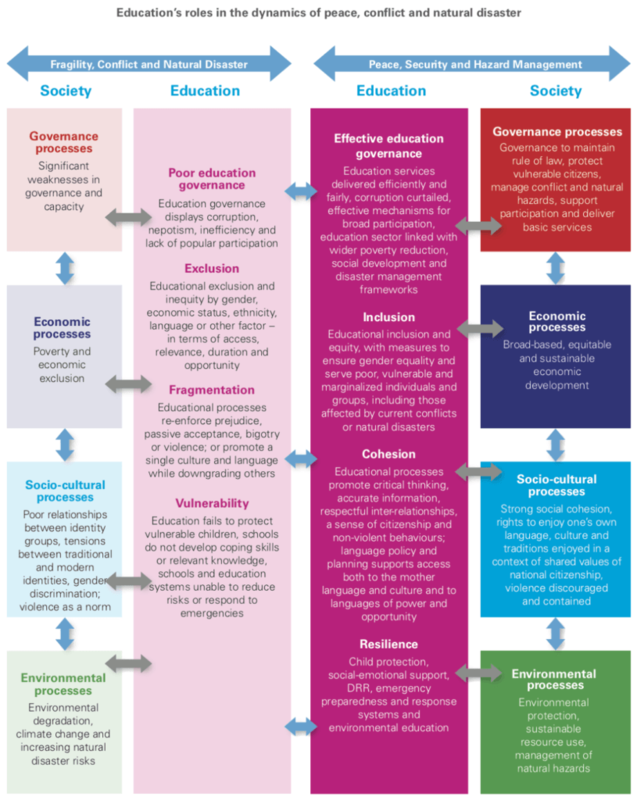 The above figure was created to illustrate some of the interplay between education and destabilizing factors in Southeast Asia and the South Pacific, but I think it does a good job of highlighting ways in which education touches other spheres, as well as some of the breakdowns in education in the midst of fragility. But, what a chart can’t show is that even in the midst of fragility, there are amazing people fighting for education: to teach, and to be taught. Flora* is my best friend and closest ally at St. Mary’s Primary School. She is tough as nails but so kind, looking after everyone who needs it (including me!). She is not “educated” in a Western sense but she is a truly dedicated teacher, one of the few who are there every day. She teaches one of the three primary One classes. I asked if I could interview her so that I could learn her story and share it with others. *We agreed that I would use a pseudonym. I recorded our interview and transcribed it, and have lightly edited quotes for clarity. Flora was born in Yambio but fled to the Central African Republic (CAR) with her mother and siblings when she was about six years old (in 1990 or 1991), at a time when the Sudan People’s Liberation Army (SPLA) was in control of much of the area. I ask her if she remembers anything from before the move, and she says no, but that she was told she and her twin sister cried on the long journey by foot. There was a large refugee community where she was living, and she grew up speaking Zande, Arabic, and French (the language of primary school instruction in CAR). Her father stayed behind in Yambio for another five years or so, continuing his business as a carpenter and helping his father look after things. I ask if it was harder for her to go to school since she was a girl, and she says “No, the problem was just poverty.” Alongside her siblings, she sold mandazi (think large, unsweetened doughnut holes), cassava flour, and firewood to raise money for education, but it was not enough. “I was interested in learning, and the problem was I had no one to support me. That is why I got pregnant early.” While it is common here and there for teachers to have their infants with them, schools do not allow students with nursing babies to attend. She was forced to drop out of Primary eight to take care of her son. Slowly, people began to return to Western Equatoria, and Flora returned with her whole family in 2007. She was part of the inaugural class of students sitting for P8 exams in Yambio after many of the refugees had returned. 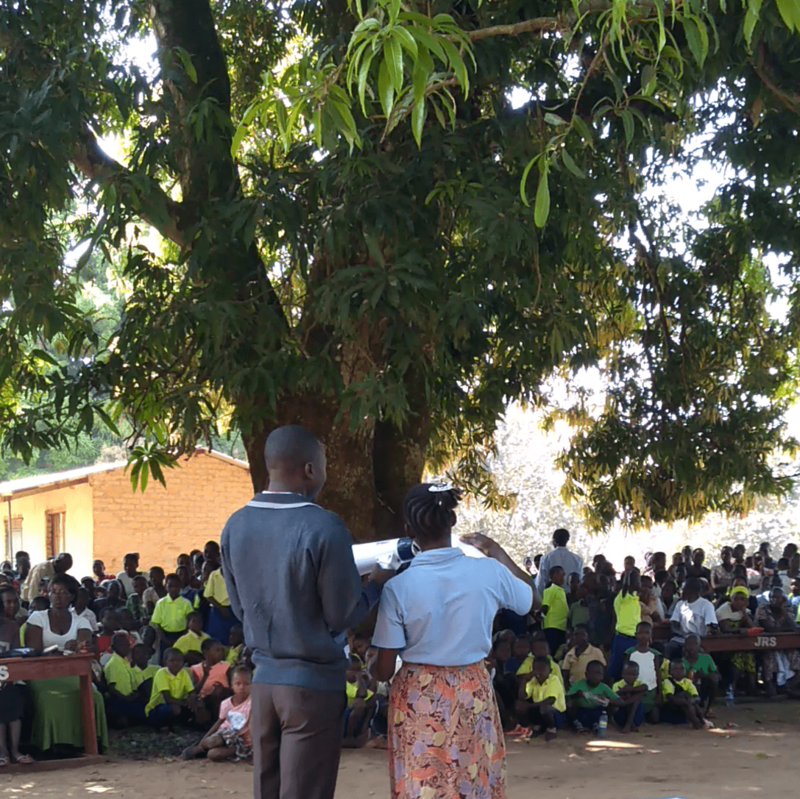 She completed her Secondary Schooling, in English, in Yambio. Flora was not planning to be a teacher. “What made me a teacher is that I didn’t have any other work to do,” she says. “But the work of a teacher is good, that’s what made me decide to be a teacher. When I was going for my teacher training, it touched my heart.” She loves that for teachers, learning is never complete. The teacher training college in Yambio is referred to as “Solidarity.” Solidarity with South Sudan is a faith-based organization that has been in South Sudan since 2008 and are a big part of the community here in Yambio, and across many parts of South Sudan (check out this presentation from their website; it not only shows some of the awesome work they are doing, but it also gives a really good picture of city life in Yambio). “I got up very early in the morning,” she tells me, “At five, and swept my compound, got water for my children and made them tea. After they had tea, they started off for their school, and I went to mine.” One of her sons, too young for school, went with her to Solidarity and spent his days with the watchman. Flora would like to go to University. “In Juba?,” I ask, knowing that institutions of higher learning are at least that far away. She responds that Solidarity is in the process of creating a three-year diploma program here in Yambio. That would mean a lot to Flora, who wants to wait until her youngest child is around 12 before taking up her studies again. Angela Barratt is serving in Yambio, South Sudan for seven months. A native of Houston, Texas, Angela earned her bachelor’s in anthropology through the University of Texas’s Plan II program, and her MSIS from the University of Texas School of Information. Thank you, Angela for your dedication to the community you serve. We love sharing yours stories. If you are interested in learning more about international volunteer opportunities, click the button!